Home / bread talk / christmas / Dianne Abella / DJ Nicole Hyala / Hello Kitty / Hello Kitty and Friends / hello kitty land / jillian ward / meet and greet / sanrio / sky garden / sm north edsa / SM Supermalls / the block / theme / Hello Kitty invades SM North EDSA! Hello Kitty invades SM North EDSA! 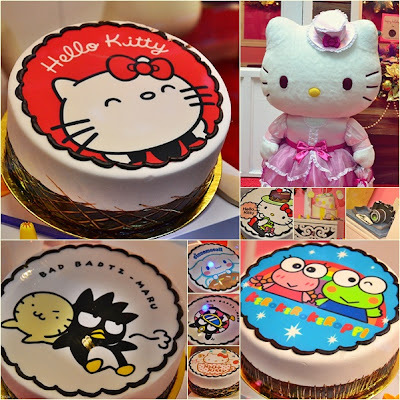 My fellow Hello Kitty fans, here's another cute and cuddly way to spend the forthcoming holidays! Our beloved SM North EDSA is making our Christmas more exciting by sharing not just the their fun shopping and dining experience but also the wonderful world of Hello Kitty Land! Fifty days before Christmas, SM North EDSA dresses up their whole mall like the Sanrio Hello Kitty Land of Japan giving an amazing display of cute and cuddly Hello Kitty items. From the designs at the Sky Garden through the escalators, department stores and supermarket, it is definitely one Hello Kitty mania that every shoppers could enjoy! I got to see these amazing and really lovable designs last week, and I was really impressed by how SM North EDSA brought everything to life. From the gigantic stuffed dolls to very colorful and well-done Kitty Houses, this is one Christmas treat that I would to visit til its last day! Hahaha! It is sooo gay and I love it! Hahaha! Aside from these "I-wanna-take-them-home" Hello Kitty dolls, there's also an exhibit of Hello Kitty and Friends cakes that you can see on The Block. This one is brought to us by Bread Talk. Though, these pieces are kept inside this kinda "bakeshop" setup, I believe one can order cakes like those from Bread Talk! Bongga di ba? I have this fascination with Bad Badtz - Maru when I was in elementary, and seeing how cute he is til to now, I'm really wishing that there's someone out there who will give me a cake like that for Christmas! I so love it! On the 3rd floor of SM The Block, another Hello Kitty site to see is the Luxe Collection showcasing the a sample of the huge collection of some Filipino Hello Kitty collectors. 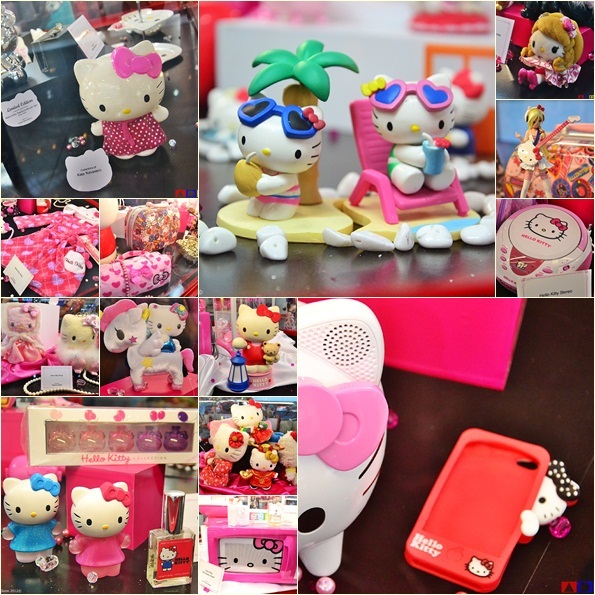 There's Dianne Abella, who is a 4th year Law student and started collection Hello Kitty stuff just some 3 years back. Then, there's the full time commercial and print model Abegail Dela Rama, who shared her Hello Kitty collection dated back when she was still a kid. You can see who most of them look really old, but still in a very good condition. Of course, one of the known celebrities who is so into Hello Kitty, 90.7 Love Radio DJ Nicole Hyala also shared some of her precious Hello Kitty stuff for this exhibit, where things like radio, microwave oven, candy maker, popcorn maker and many more where shown to the public. 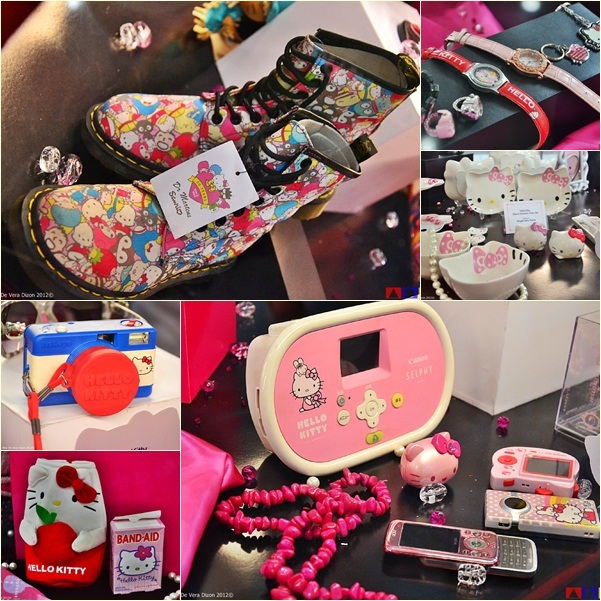 And lastly, GMA 7's child wonder Jillian Ward also displayed some of her Hello Kitty stuff on this Luxe Collection. It was really an incredible and inspiring theme that I got to enjoy. Hello Kitty has been and will always be a reminder of my sweet childhood and of course, my cute little nieces that I so love! For those who wanna see and experience Hello Kitty Land here at SM North EDSA, the theme will last til January 8, 2013. There also some exciting activities that you can catch, and would be perfect for you and your kids, so take note of these dates! I can't to go back here again this weekend, and I thin, I'll bring my two nieces with me this time, because I'm sure that they will love this as much as I do! Happy Hello Kitty Holidays, everyone!